If you’ve been making things for a while and you’re thinking of branching out and selling your handmade goods at a craft show, that’s great! The whole process may feel very overwhelming, but it’s really a situation where practice makes perfect. Once you get through your first show, you’ll come home with a million new ideas for how to make your next one even better! It would also be great if you’d come home with pockets full of cash, so we’re here to help you prepare for that first show and make it a rewarding experience! This series of posts will take you through everything you need to know. 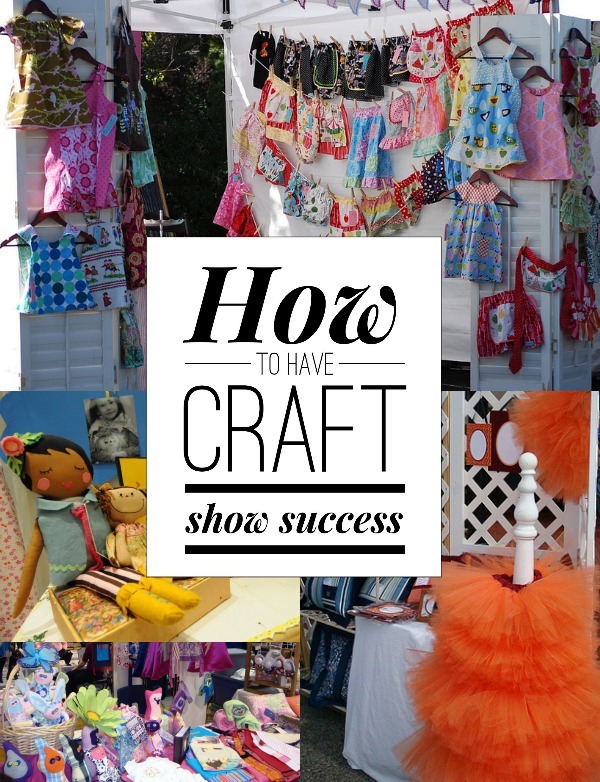 First up: choosing a craft show that’s right for you (and the products you sell). Before you think about vending at a craft show, you need to make sure it’s the right craft show for you and the products you make. If possible, attend a craft show one year and apply to vend the following year, so you really know if the audience and atmosphere are right. If you can’t do that, learn as much as you can about the event from the website, the people running it, and other people in your area who have attended or vended there in the past. Are the other vendors selling something that coordinates well with your products? They don’t have to be making the same thing, but their general audience should be similar. For instance, if you sell original paintings for $500 each and the other vendors sell $5 hair accessories, you’re in the wrong craft fair. Is the craft fair open to handmade items only, or will there be a lot of other sellers there who are re-selling commercial products? This isn’t always a bad thing, but if the event is mostly full of people re-selling cheap items then your quality, handmade goods may not fit in well. What do they provide? Will the event coordinators provide any of the items you’ll need in your booth, such as tables & chairs? Or do you need to bring everything yourself? Will there be Internet access at the event? Will the event be indoors or out? Rain or shine? If you live in an area with a lot of arts & crafts shows, you may have to do a little searching to find the best one for you. If you don’t have a lot of options to choose from, that’s okay! Just pick the one you think will be best, and go from there. Think of selling at your first craft show as a big experiment, and try to learn as much as you can from the experience. And then it’s never truly a loss, no matter how much you sell! Stay tuned… for the next post, where we’ll talk about pricing your products & setting up inventory. Want More Craft Show Tips? Grab my Craft Show Success 30 page ebook with over 120 actionable tips to help you prepare, sell and make money at craft shows. It includes the world of both Juried and Non-Juried shows, the application process and even special downloadable templates. Looking forward to your next post about this subject. I wonder if you could explain why it is important to have WiFi at a craft show?? Thanks for this, any advicerrors is always welcome & I look forward to reading more tips from you.